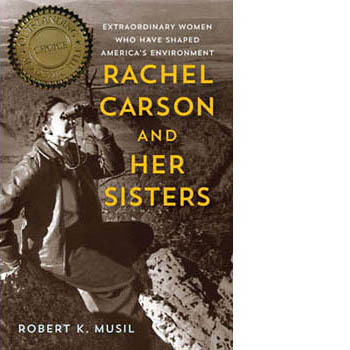 Rachel Carson and Her Sisters: Extraordinary Women Who Have Shaped America’s Environment has been named a “2016 Outstanding Book” by Choice magazine. Choice, the leading journal for libraries and academic researchers, reviews over 7,000 titles and selects their top choices each year. Countless wonderful stories and inspiration. A great read! Now in a new paperback edition from Rutgers Press.